Rita served on the design team for the Bechtel Family Ocean Education and Leadership Center, a $65 million project that will allow the Aquarium to double the impact of its outreach programs to students and teachers. The Center is scheduled to begin welcoming students in early 2019. Rita is a member of ChangeScale, an environmental education collaboration for the San Francisco and Monterey Bay areas. She serves on the board of the California Environmental Education Foundation and the California Environmental Literacy Task Force. Previously, Rita served on the board and as president of National Marine Educators Association (NMEA), and chaired the planning committee for the association's "One World Conserving One Ocean" national conference, which was held in Monterey in 2009. She has given presentations at the Association of Science-Technology Centers, and for members of the Association of Zoos and Aquariums, National Science Teachers Association, NMEA and California Science Teachers Association. 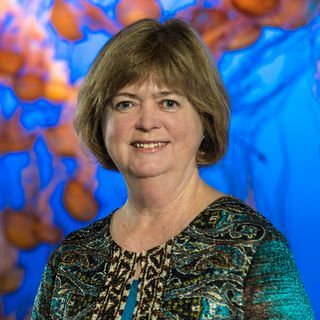 Before joining the Aquarium in 1997, Rita taught middle school math and science and served as vice principal and computer resource specialist.